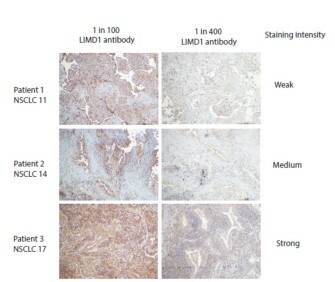 Relevance LIMD1 (LIM domain-containing protein 1) is part of the zyxin/ajuba family of proteins and is a ubiquitously expressed tumour suppressor containing three LIM zinc-binding domains. 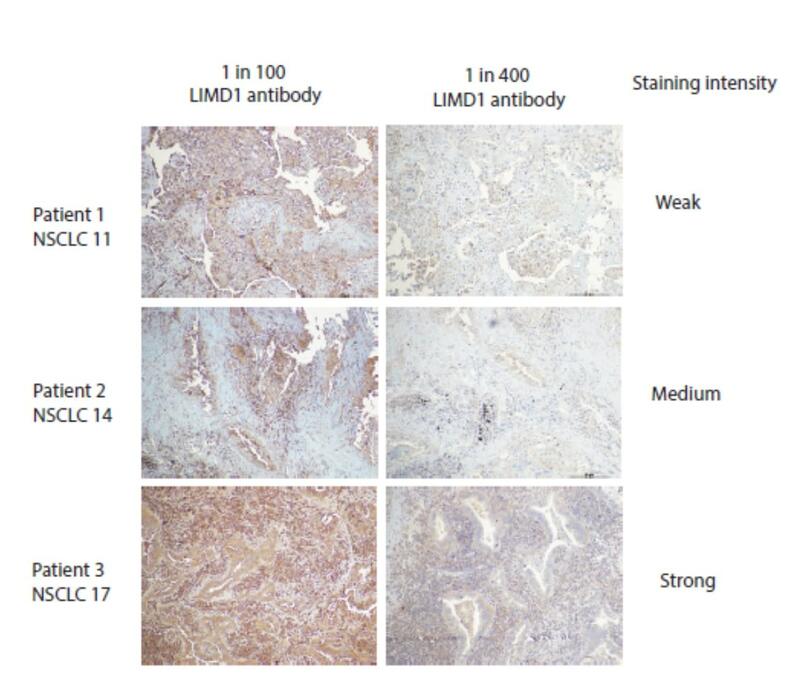 LIMD1 may be involved in cell anchoring via focal adhesions and in the cell cycle, particularly during mitosis. 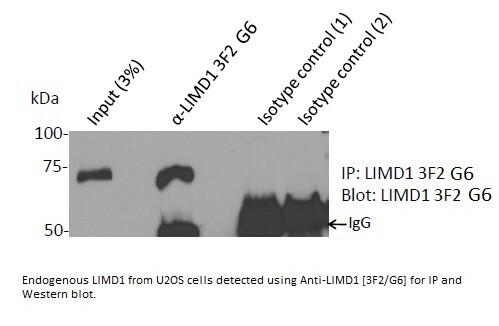 Limd1 interacts with the proteins SQSTM1, Rb, p62 and TRAF6. 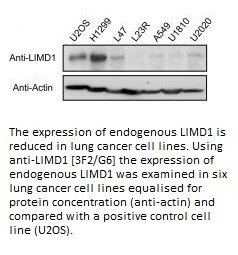 Limd1 was first identified when the deletion of its gene was noted in some cervical cancers, and it has since been noted to be downregulated in lung and breast cancers. Foxler et al. 2018. EMBO Mol Med. 10(8):. PMID: 29930174.